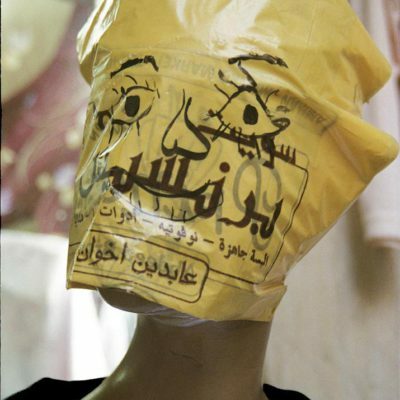 Samira Badran's photos on human Resistance. 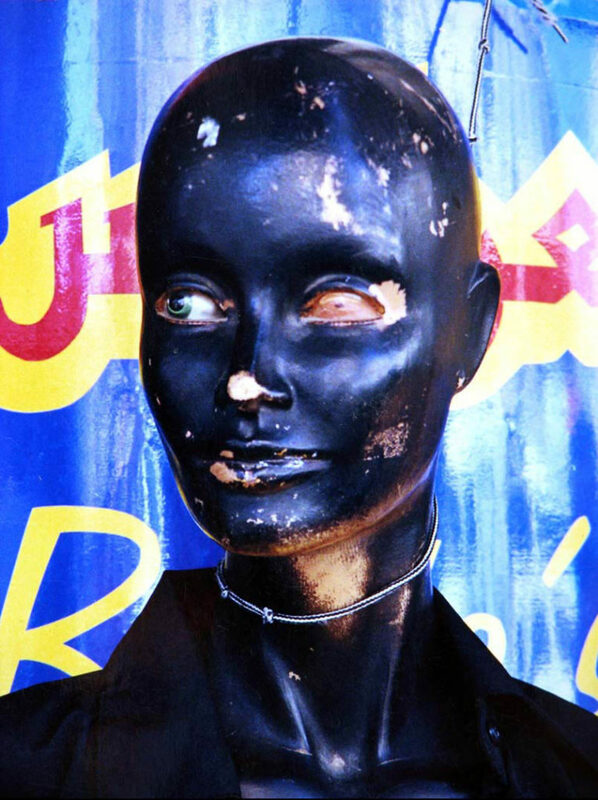 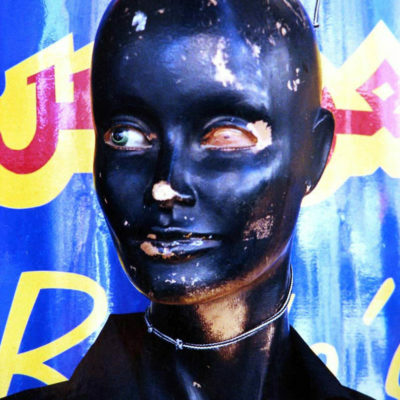 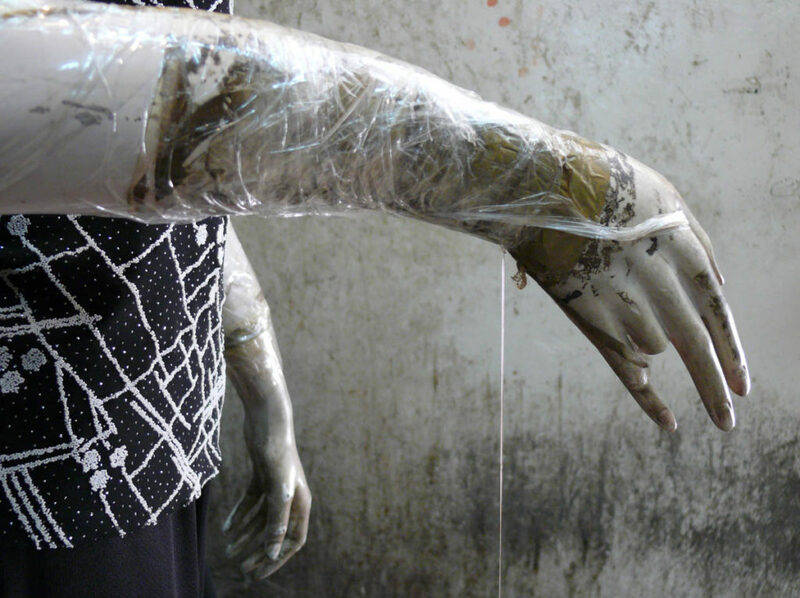 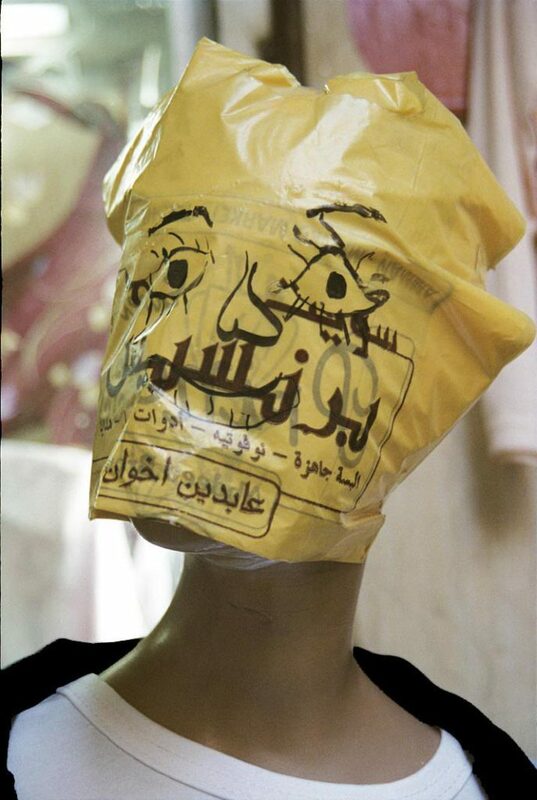 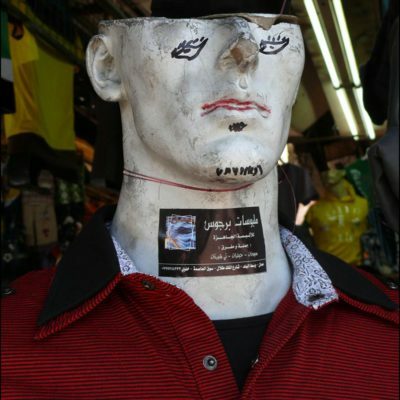 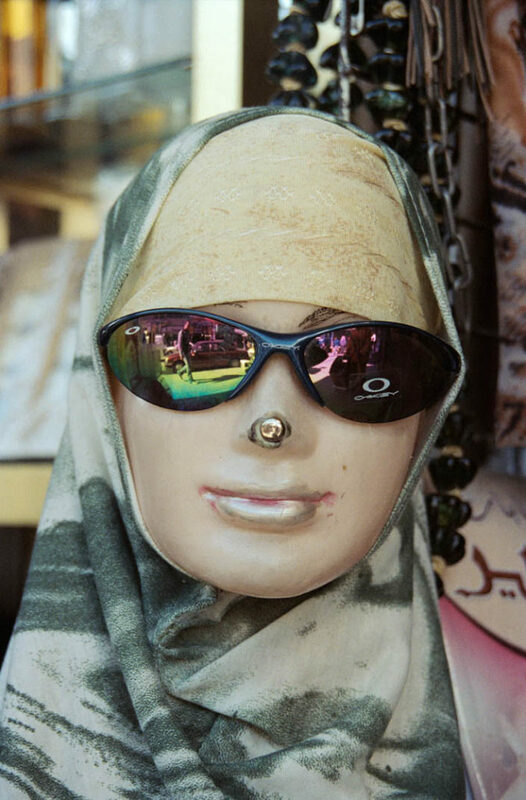 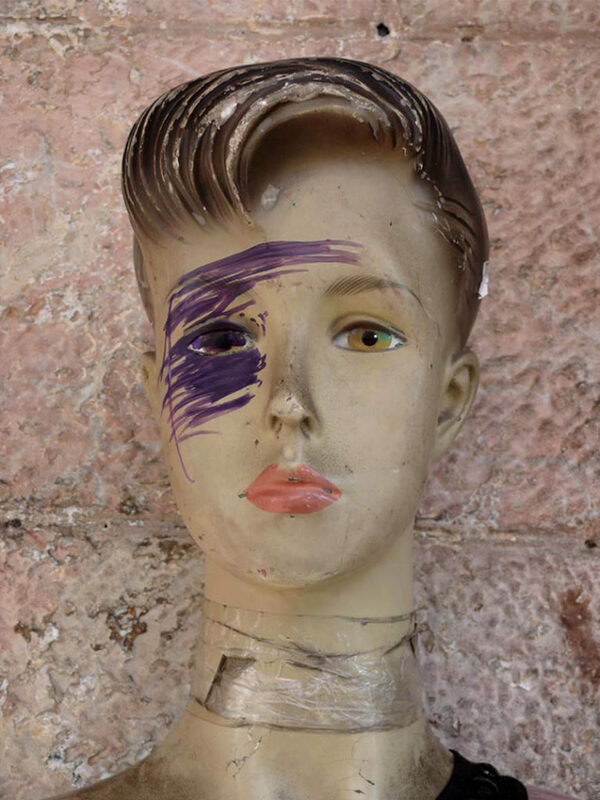 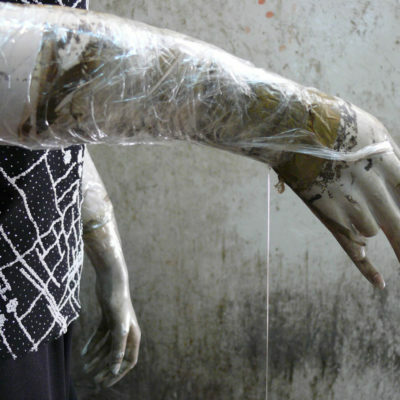 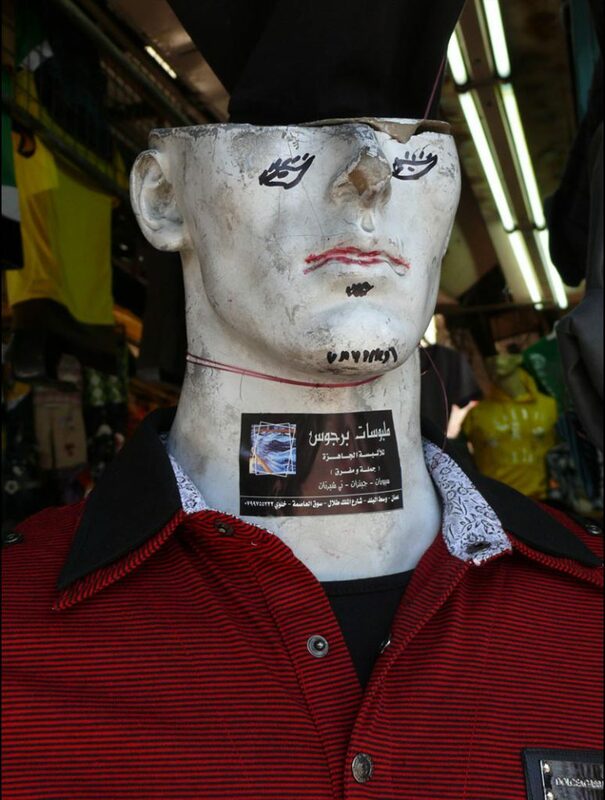 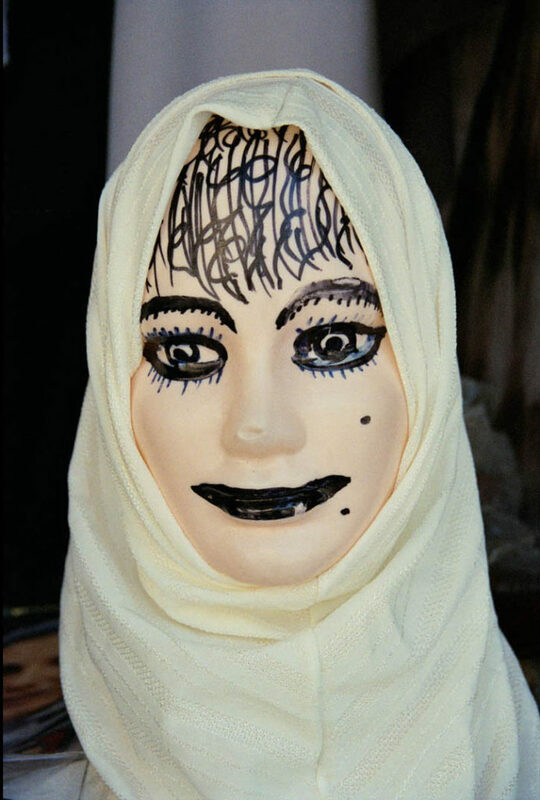 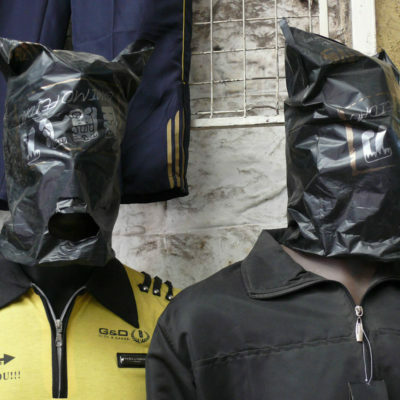 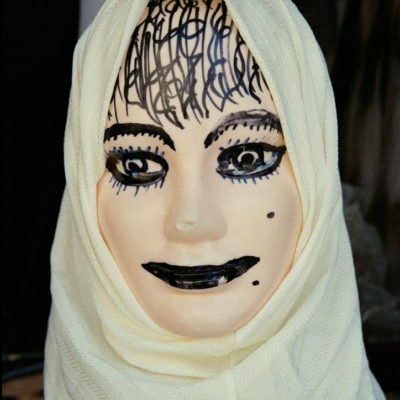 An ongoing project, photographing mannequins in Palestine & Jordan over the years. 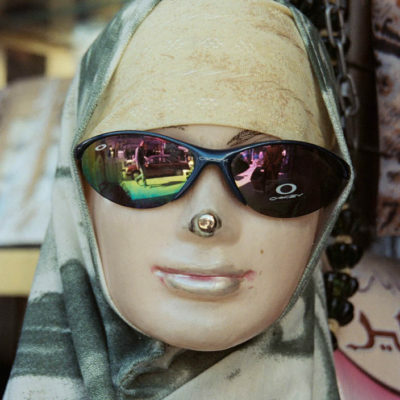 An ongoing project, photographing mannequins in Palestine & Jordan over the years. 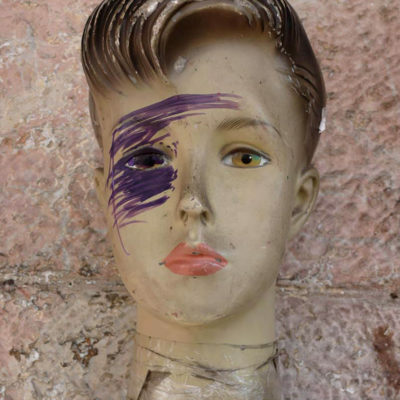 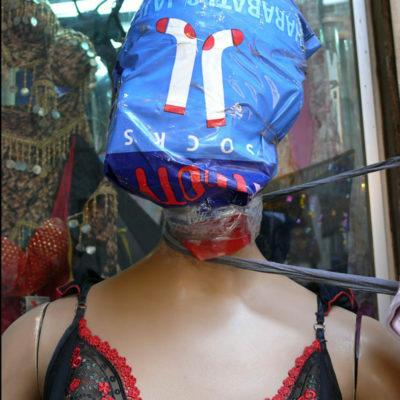 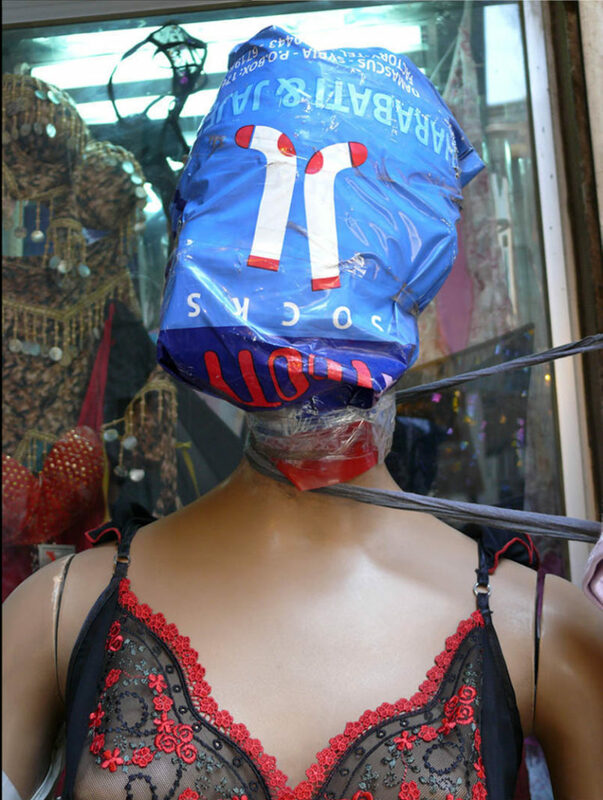 One of the themes that atonish me in the crowded markets of Jerusalem and other Palestinian cities, is the important presence of the mannequins (plastic fashion models). 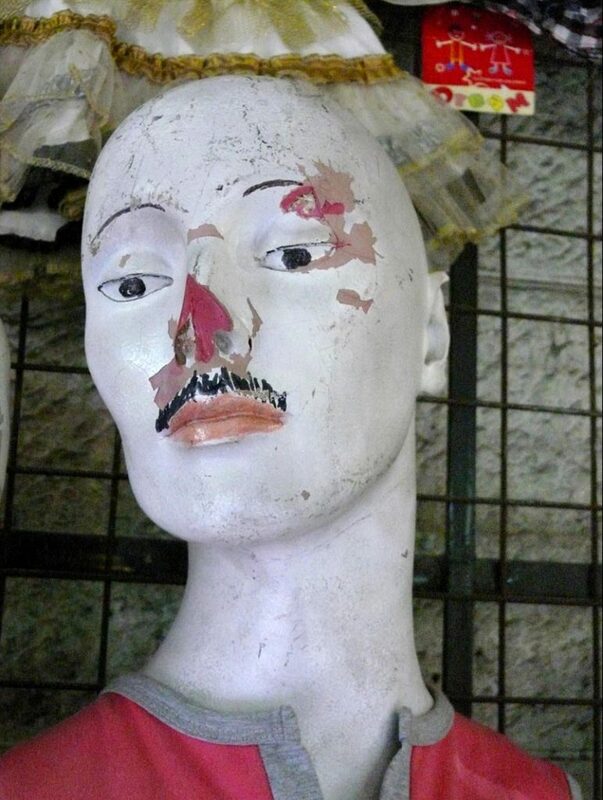 For me, these figures play the role of the protagonist in relation to the Jerusalem syndrome”. 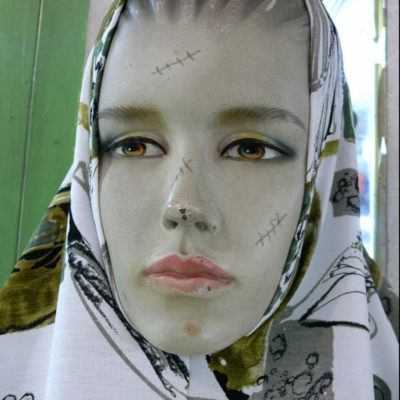 Although their place of origin is China, they have completely adapted and acquired the reality of the city of Jerusalem. 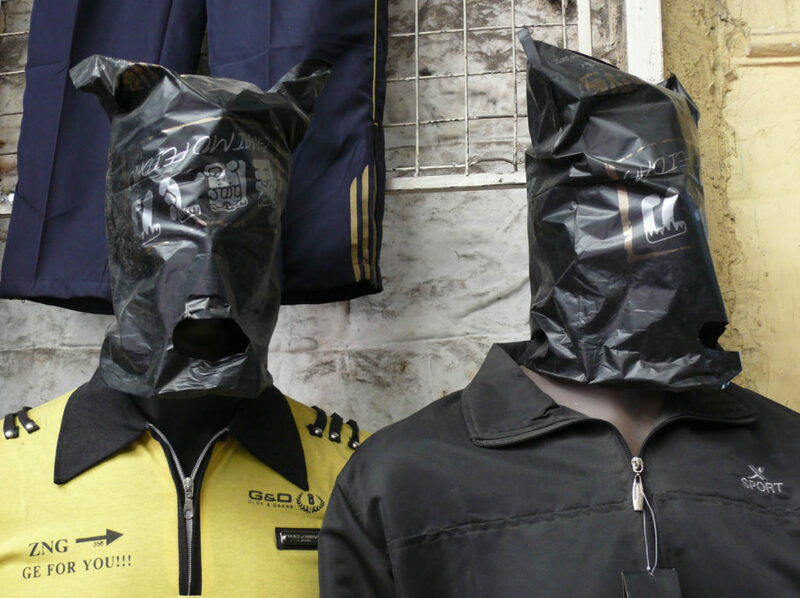 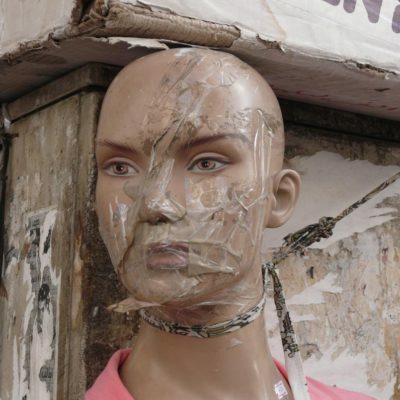 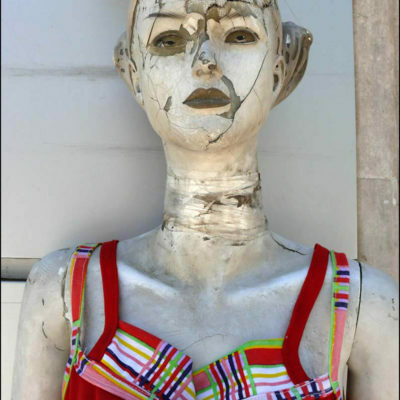 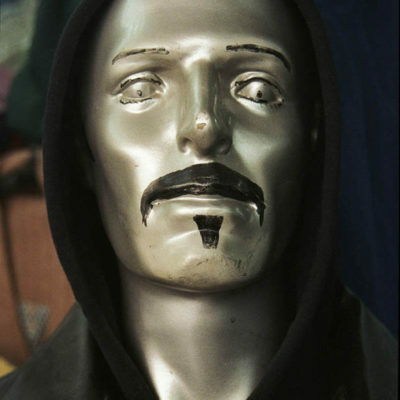 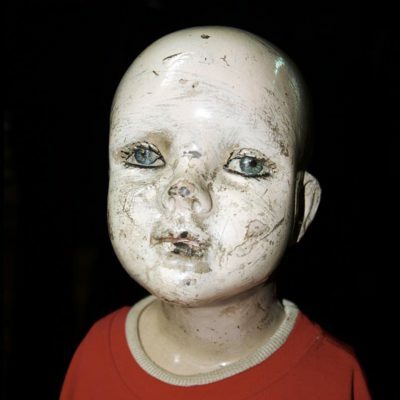 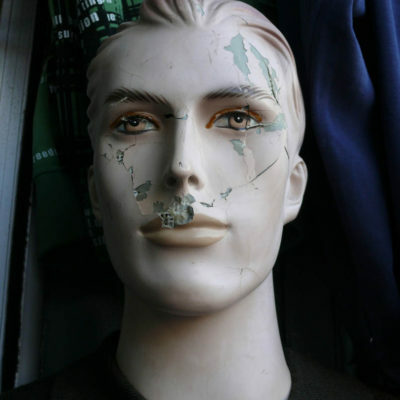 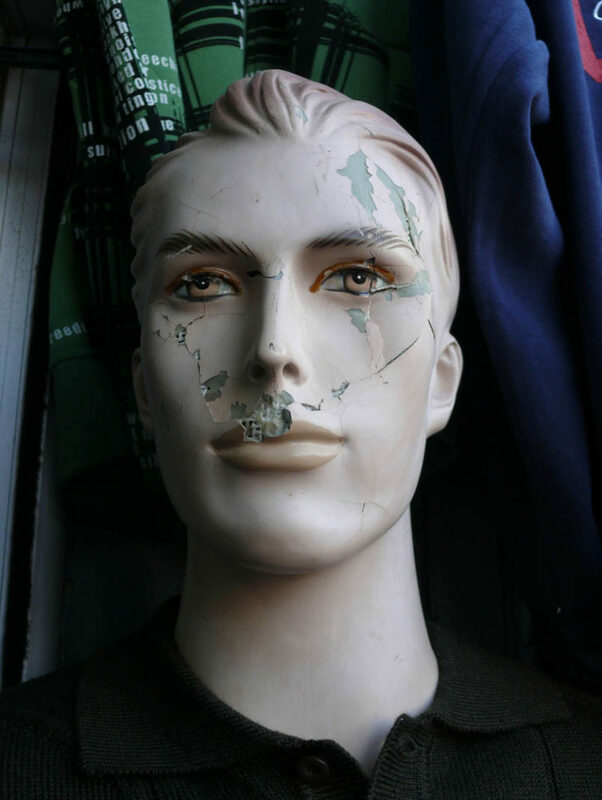 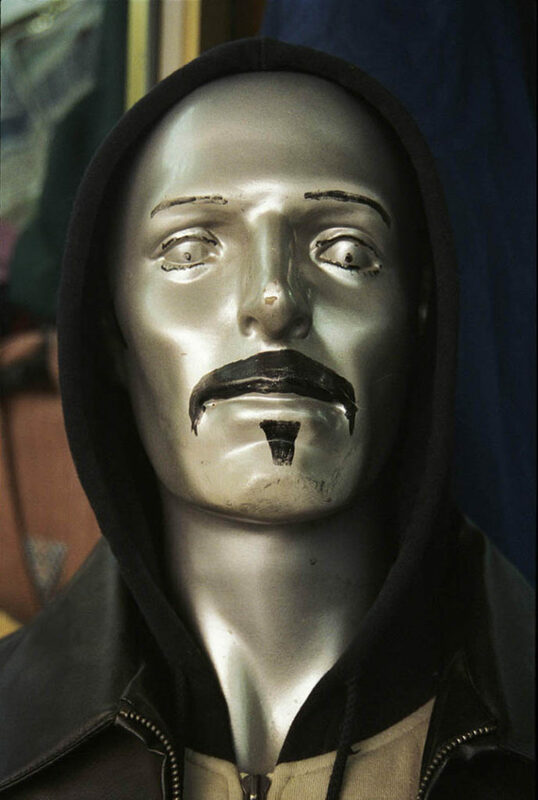 The mannequins’ current state mirrors the city’s own state of deterioration, with a potent expression of loss and sadness. 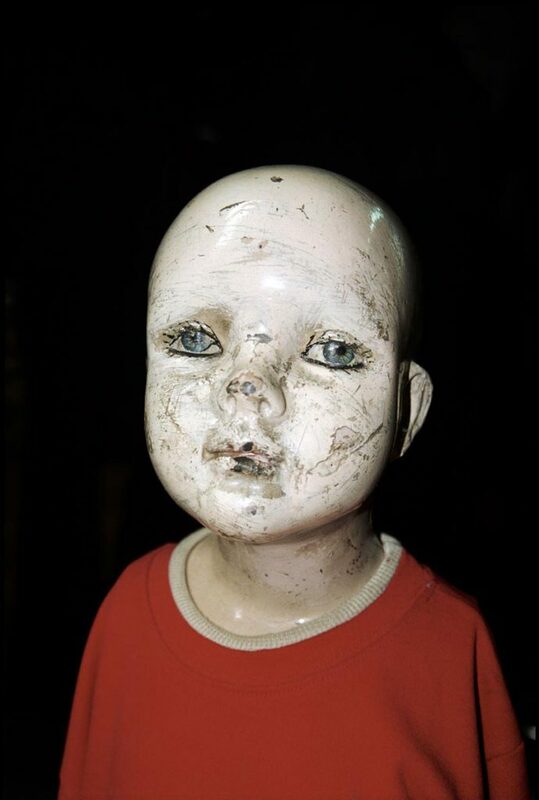 I have obsered how the pasage of time has left its mark on these phantasmal figurines as they change, mutate and transform. 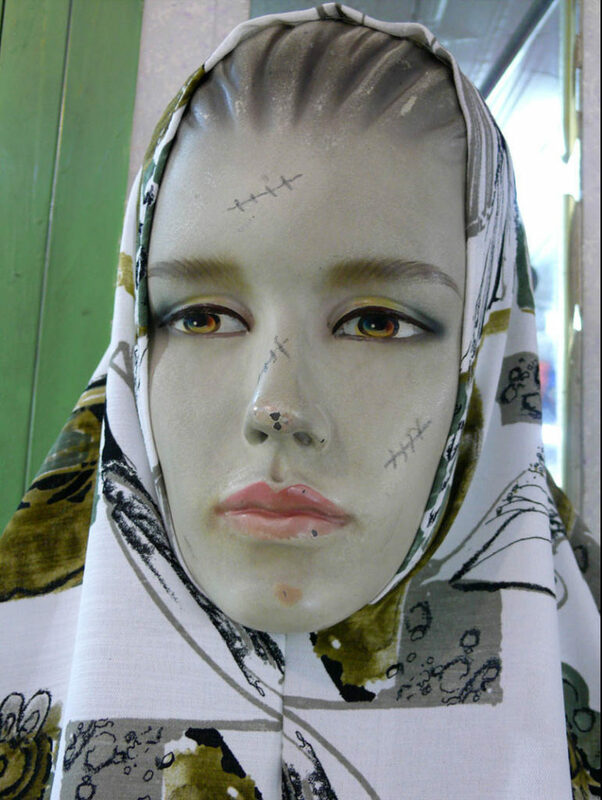 In addition, I am interested in the shop owners’ ability to modify periodically the mannequins’ expressions and look, passing from the feminine to the masculine, according to their busimess requisites. 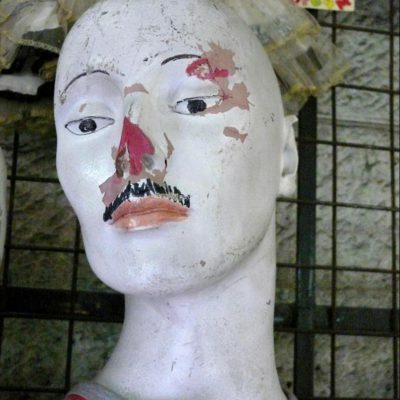 Theis aspect is a testimony to the harsh economic reality and the confinement of the Palestinian people. 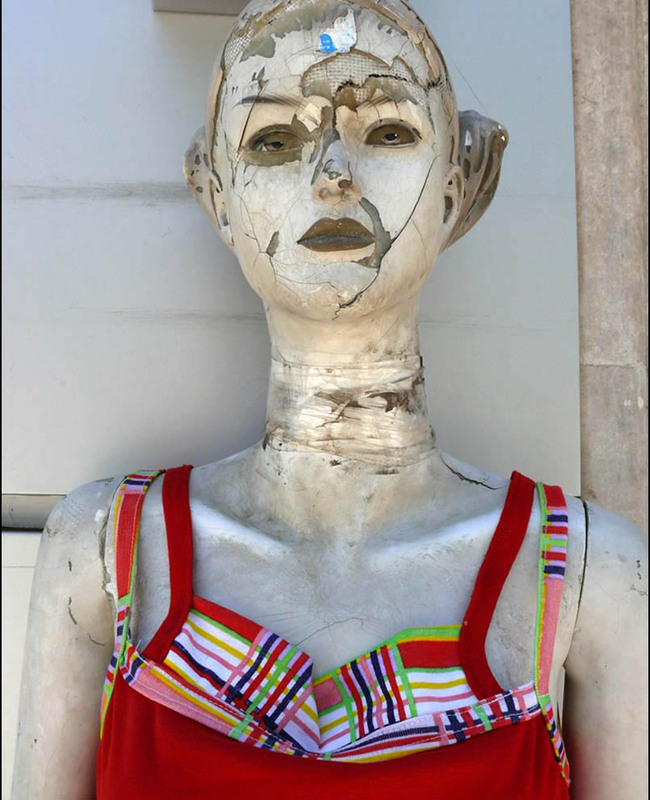 I have been following some of these figures and their traces; photographing them many times over years. 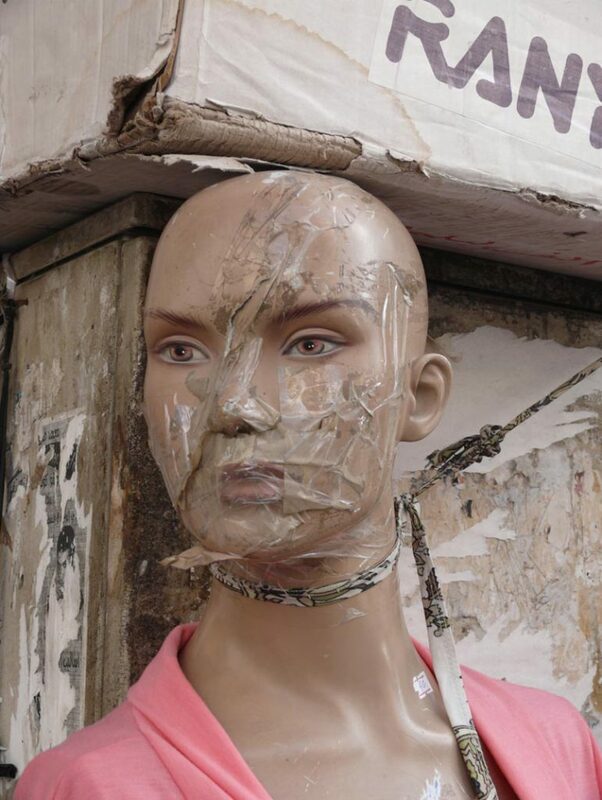 Their presence for me is a metaphor, reflecting the reality of our situation.